There are some things about Singaporean culture that the English language just can’t explain. Like how the meaning of the word ‘sian’ lies somewhere between annoyance and exasperation, or how a reply of ‘oso can’ suggests a mix of mild indifference and indecision when someone suggests a location for dinner. But sometimes, a sticker says a thousand words. 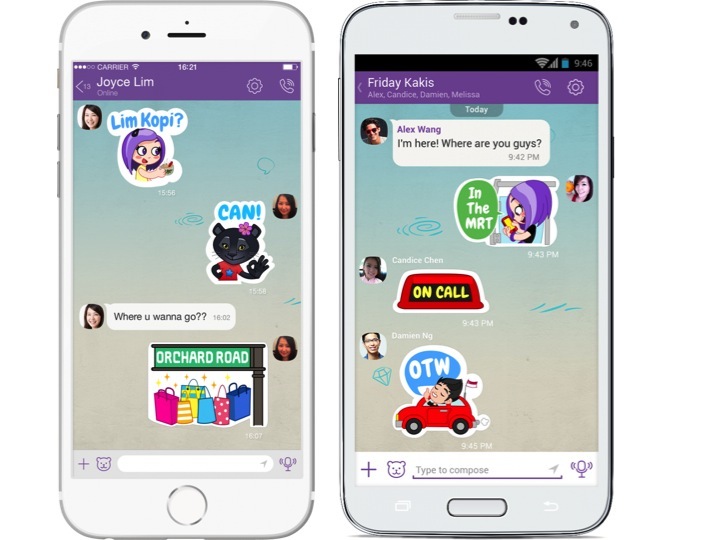 Stickers have that ability to express more than you can with mere words, which makes Viber‘s Singapore-centric stickers that much more fun. Viber’s newest stickers — “Singapore Shiok!” and “Fun in Singapore!” — arrived at the Little Red Dot last month, covering Singapore expressions to a tee. With the full collection, we can now say almost everything we need to, such as Singlish expressions, popular locations, and even popular activities in Singapore like getting a suntan at Siloso Beach and having a barbeque at East Coast Park. You can even have full conversations with your friends with just stickers alone — a fun challenge, if there was ever one. Viber sees itself as a global company; its users are spread all over the world and not confined to one specific region or country. This is why they have always made a huge effort in localising themselves in different markets. During last year’s World Cup, for example, Viber released Viber Team, a World Cup sticker pack that was localised to each participating country of the football tournament. Viber also releases sticker packs reflecting local celebrations and festivities all around the world, like the Rio Carnival in Brazil, Diwali in India, the Water Festival in Myanmar, as well as Chinese New Year, among others. The messaging platform has also revealed that it will soon release a special SG50 sticker pack to celebrate Singapore’s 50th anniversary. It has said that releasing unique stickers is a large part of their localisation process to offer a genuine local experience to its users globally. The two new sticker packs are currently unmatched in their quantity and range of Singapore-localised content. 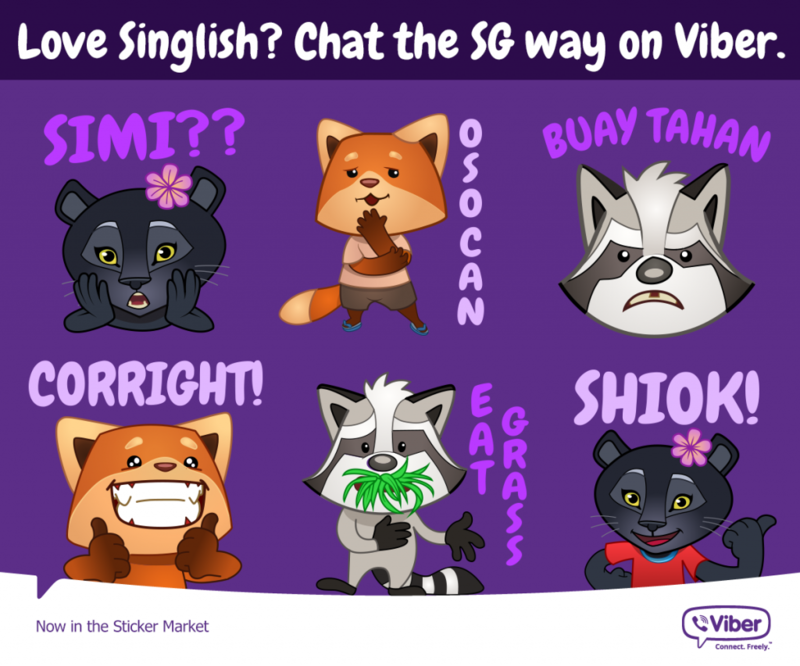 They show off our country’s culture in a way that locals can appreciate, so you can say that Viber’s attempt to create stickers that Singapore’s users can identify with has been successful. 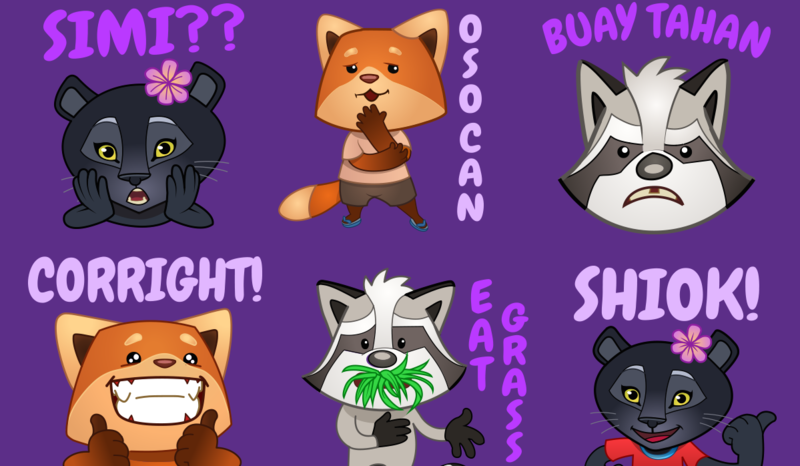 The new sticker packs “Singapore Shiok!” and “Fun in Singapore!” are free for download via the Viber Sticker Market, which users can find in-app. So ‘Turn on your SG vibe’, discover these new stickers and start chatting the SG way on Viber!